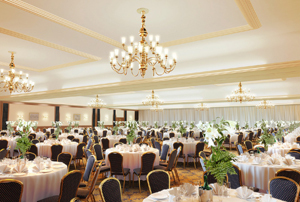 Thistle Glasgow has completed a £1.2m make-over of its Grand Ballroom. The allroom, which it claims is Scotland's largest, has been fitted with new carpets and ornate hanging lights, and its polished wood dancefloor has been restored. The room can take up to 1,500 guests. The property's Robert Burns Suite, which can seat 200 theatre-style, has also been refurbished. Thistle Hotels is investing £10m in a rebrand programme for the property which is due for completion in spring next year. Future improvements will include room and public area refurbishments.